Antonia Gorga, from Real Housewives of New Jersey loves the Peacock Blue Halter Tutu Dress! Here she is modeling the Peacock Blue Tutu Dress and Headpiece! 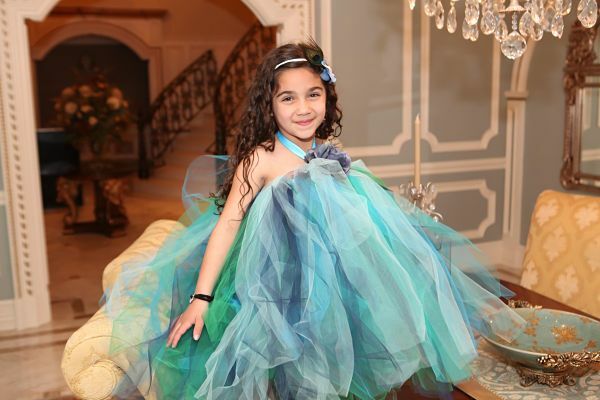 This chic and trendy tutu features layers of aqua, turquoise, teal, navy, and kelly tulle. A coordinating rose and peacock feathers accent the tutu. This item is custom made in the US. Please allow 1 to 2.5 weeks for this item to ship. This item does not ship internationally.